This "2-prong" plug and socket design, with two flat parallel non-coplanar blades and slots, is used in most of North America and on the east coast of South America on lamps; consumer electronics such as clocks, radios, and battery chargers; and other double insulated small appliances that don't require grounding (earthing). All NEMA 1 devices are two-wire non-grounding devices (hot-neutral) rated for 125 V maximum. 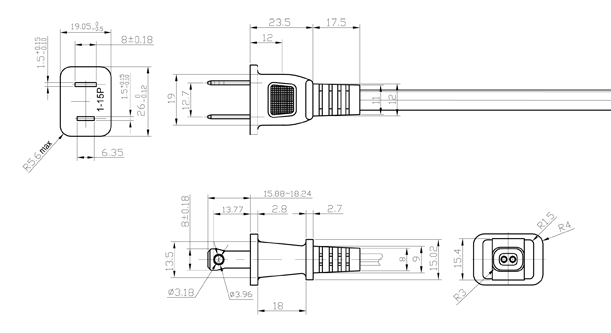 NEMA 1-15P plugs have two parallel flat blades, 1/4 inch (6.35 mm) wide, 0.06 inches (1.524 mm) thick, 5/8-23/32 inch (15.875-18.256 mm) long, and spaced 1/2 inch (12.7 mm) apart. Ungrounded NEMA 1-15 sockets have been prohibited in new construction in the United States and Canada since 1962, but remain in many older buildings, and this obsolete design is still available for repair use only. Since January 1, 1974, all new power outlets are required to have a ground connection, using grounded sockets (typically, NEMA 5-15 or NEMA 5-20) that accept both grounded and non-grounded plugs. Replacement of obsolete NEMA-1 receptacles requires either a NEMA-5 (for two conductors plus ground wire configurations), or a NEMA-5 GFCI for two-wire non-grounded configurations (when a ground conductor is not available). Ungrounded NEMA 1 plugs are still popular with manufacturers for certain applications, because of their low cost and compact size. They are upward compatible with widely-available grounded NEMA 5 receptacles. 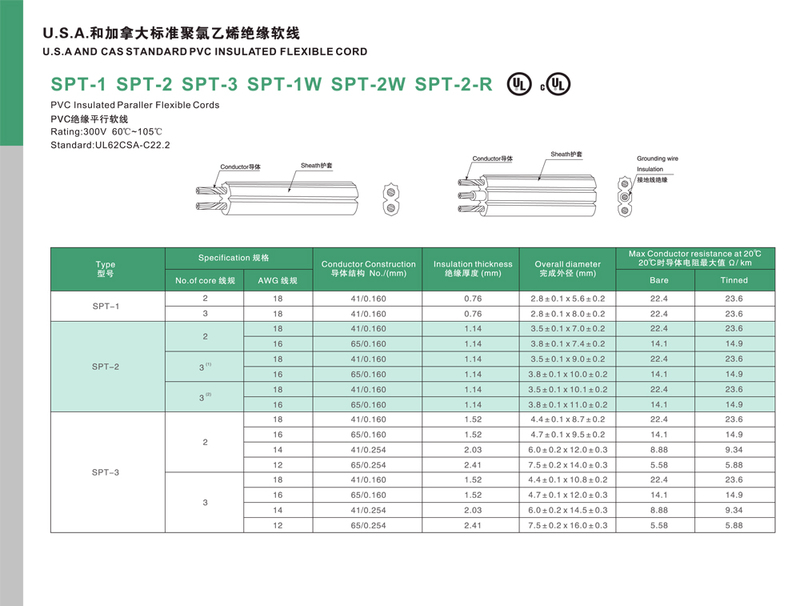 Standards permit ungrounded plugs where the appliance does not require grounding due to low risk of leakage current, such as on double-insulated devices. In older plug designs, both blades were the same width, so the plug could be inserted into the socket either way around. Many plugs manufactured since 1948 are polarized; the neutral blade is wider (5/16 in or 7.938 mm) than the line blade, so the plug can be inserted only one way. 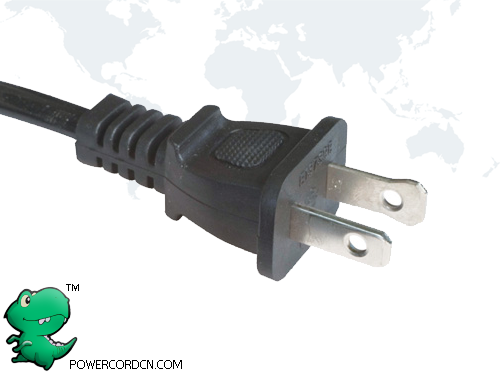 Polarized NEMA 1-15 plugs will not fit into unpolarized sockets, which possess only narrow slots. Polarized NEMA 1-15 plugs will fit NEMA 5-15 grounded sockets, which have a wider slot for the neutral blade. Some devices that do not distinguish between neutral and line, such as internally isolated AC adapters, are still produced with unpolarized narrow blades. The Japanese plug and socket with narrow faces appear physically identical to NEMA 1-15. The Japanese system incorporates stricter dimensional requirements for the plug housing, different marking requirements, and mandatory testing and approval by METI or JIS. Cheater plug adapters allow a "3-prong" grounded NEMA 5-15 plug to be mated to a non-grounded NEMA 1-15 socket. The adapters include a spade lug to allow connecting to ground, often via the cover screw used to attach the socket faceplate. NEMA standards exist for 1-15P, 1-20P and 1-30P plugs, and the 1-15R receptacle. There are no 1-20R and 1-30R receptacles, because 1-20P and 1-30P can mate with a corresponding NEMA 5 receptacle.